You probably have a mobile device like most of us. Use your device to its full potential anywhere, by utilizing smart home features for added security and ease. Learn more about our OHD Anywhere® Technology today! OHD Anywhere® can be installed on multiple mobile devices. As long as you have a compatible garage door opener, we can set you up in no time! Monitor activity of your garage door, and track it throughout the week. You can even open and close it from anywhere. Forget sharing keys, just use a simple tap when you need to let your sister in next time. 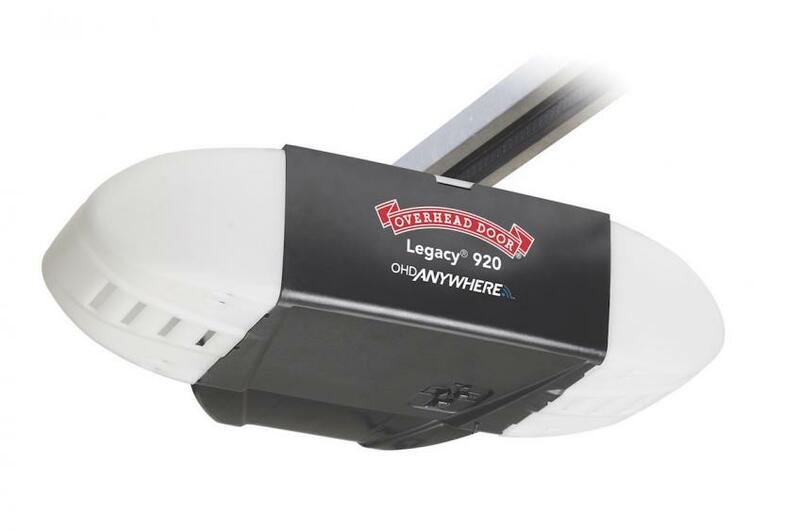 Now you can purchase a garage door opener already set up with the OHD Anywhere® system. The controller and system are pre-programmed in the Legacy® 920 openers. The new system with the 920 doors even includes battery backup compatibility. Keep control of your garage door when the power goes out. You can choose between an affordable chain-driven unit, or the smoother and quieter belt-operated product. Remember, your garage door is often the largest entryway into your home. OHD Anywhere® is versatile, accessible, and secure. Call our team at Overhead Door Company of Garden City™ today!